Hello readers, in this article we’ll be having a broad discussion about robots in general: how they’ll shape our future, how they’ll make our lives easier, and how they’ll, eventually, replace nearly all human tasks and human-occupied jobs. In the future, robots will have a vast number of applications: they will be used to build our homes, bridges, and cities; they will cook food for us and deliver that food to us lest we decide to pick up that food by ourselves; they’ll manufacture our goods and products and even deliver those goods and products to us; they’ll effectively reclaim the environment by planting one billion trees a year (assuming what’s practical today) in order to reclaim the forest, by removing all of the plastic and other junk from the oceans in order to reclaim the oceans; they’'ll sequester toxins and excess elements from the atmosphere in order to clean our air; they’ll drive us to recreation centers and coffee shops; they’ll work for us and do most human jobs; they’ll even be inside of our bodies monitoring our health 24/7. This list of robotic applications hardly even scratches the surface but hopefully it gives you some notion of just how ubiquitous and diverse robots will be in our future. And as we shall discuss, this isn’t some distant, far off future like, for example, a K2 or K3 civilization. Everything that I mentioned in that aforementioned list of the uses of robots will be fully reified during the 21st century. I suspect that many of my readers are still fairly young; due not only to your young age but also to advancements in technology which will enable you to live much longer than the present average human lifetime, I suspect that many of you reading this will live to see all of these uses of robots come to pass. Such a future—where the robots and machines work in obedient service to humanity, the biosphere, and the supervision and maintenance of all the Earth’s habitats and ecologies—has long been the topic of science fiction. It wasn’t really until the mid-20th century until researchers and scientists ever contemplated the prospect of using science and rigor to develop such sophisticated robots; and it wasn’t until the 21st century (which is to say, our time) has this prospect been considered likely by scientists and engineers. Indeed, all those futuristic robots that I mentioned earlier have already been made; over the next few decades, those robots will continue to get better, smarter, cheaper, and more ubiquitous. When I was writing this article for the first go, I found it very difficult to keep the discussion organized; this was because there are so many different kinds of robots out there that trying to cover even just the main ones, let alone all of them, is pretty formidable task. In this article, we’re going to try to keep the discussion as organized as possible. In the Overview section (what you’re reading now) and in the next three sections entitled The Venus Project, Intelligent Environment, and A Day of Life in the Year 2100, our goal is just to give a broad overview of the main kinds of robots and machines which will shape our future. Afterwards, we’ll have a more in-depth discussion of each of these different kinds of robots which include agricultural robots, retail robots, transportation robots, construction robots, and finally nanobots. Those five categories of robots—despite the fact that they aren’t representative of all robots which have been made or theorized—are nonetheless some of the main and most important robots which will shape our future. The majority of workers work in the service and hospitality industry. Jobs in this industry include cooks and chefs, baristas, secretaries, operating cash registers, bagging groceries, giving customers directions and general information about the various products and services offered in a store or building, security guards, and so on. A vast number of workers also work in the transportation industry including truck drivers, taxi and Uber drivers, delivery men, bus drivers, mailmen, and so on. These two industries will be hit first and they’ll also be hit the hardest. The very first industry which will get wiped out by automation is the transportation industry. Using AI and machine learning, cars are beginning to learn how to drive all by themselves without anyone at the wheel. The first driverless cars appeared on the scene in 2001. Those first driverless cars were tested in an obstacle course in the middle of a desert, but they were still a pretty far way off from being able to autonomously navigate the streets in any of the world’s major cities. But since then, we’ve made a tremendous deal of progress. Recently, one self-driving truck drove over 100 miles across California in order to make a delivery to its destination; another self-driving truck drove across five countries in Europe. These trucks had human passengers in them just in case there was some kind of emergency; but for the entire duration of the both trucks trips, the human passenger did not need to intervene and take over the wheel. We also see an increasing number of self-driving cars on the road including Waymo cars and self-driving Ubers. These have also been 3D printed, driverless buses which are now in operation. And this list of driverless vehicles that we have discussed so far only include terrestrial vehicles which drive on our streets. We are also developing self-driving flying taxis and drones, self-driving airplanes, self-driving boats, and self-driving submarines. All of these vehicles are endowed with artificial intelligence, decision making capabilities, and autonomy; they can therefore be considered robots in their own right, though we wouldn’t normally think of a car as a robot. But redirecting our discussion back to self-driving terrestrial vehicles (the ones which would operate on our roads), on average these vehicles are already safer, better drivers than humans. Over 40,000 people die in car accidents every single year in the US alone; self-driving cars have also killed a few people, but not anywhere near 40,000 a year. Self-driving vehicles on our roads are the first kind of robots we’ll see become widespread in our society. Another class of robots and self-driving vehicles which will become increasingly ubiquitous are self-driving drones. The most obvious use of such drones will be to replace mailmen. In the future a package might be attached to such a drone at a post office or one of Amazon’s warehouses; subsequently, that drone will then, on its own, fly to its destination (which could be a business or someone’s house, for example), drop off the package, and then fly back to the warehouse or post office. In many urban areas, traffic is an absolute nightmare. (The highway in Los Angelos are a notorious example of this problem.) There are in fact mltiple solutions to traffic congestion. One solution would be to augment all of the driverless vehicles on the road with sensors and to write a particular line of code into each of those vehicles software; this will allow each vehicles to sense where the other vehicles are and all vehicles will move along the road in unison without bottlenecking as has been demonstrated by MIT. But an even better solution is up and down: or, more precisely, coordinating traffic at varying altitudes above and below ground level. A recent, and I’ll add extraordinary, instantiation of this solution is what Elon Musk’s Boring Company is doi9ng underneath the surface of LA, other Earth-based cities, and eventually if the company’s future plans are fully reified even underneath the surface of Mars. Right now, the Boring Company is using gargantuan boring machines to bore giant underground tunnels. One of the company’s goals is to build a vast and complicated network of underground tunnels which link up the world’s main metropolitan areas; using technology developed by Hyperloop, passengers will be able to travel in transportation units (i.e. cars or pods) which ride along air cushions at hundreds of miles per hour. Such an implementation will greatly alleviate many of the traffic problems we see today. Thus, Elon Musk’s solution to traffic congestion is to go down; but another equally viable solution is to go up. In the future, we might also implement vast networks of self-driving, flying drones, cars, and vehicles to not only ease traffic congestion but also to increase the ease and convenience to travel between various different parts of the city. For example, if you wanted to travel from your house which was on ground-level to the coffee shop which was also on ground level, but there was a ton of traffic on the streets at ground-level then utilizing an underground transportation system to get to that coffee shop would likely be a better option than to take an autonomous drone. The reason why is because if you are traveling underground in a tunnel, the absence or near absence of air pressure means that a smaller net expenditure of energy would be required to get from your home to the coffee shop. Hence, by using the subterranean transportation units, a higher degree of overall industrial efficiency could be achieved. But suppose, instead, that you wanted to travel from a high elevation in one skyscraper to a high elevation in another skyscraper. Obviously, in that scenario, the best way to get from A to B would be to use some kind of driverless flying vehicle. In the future, we will likely make extensive use of large arcologies and mega-skyscrapers. Such buildings will be erected on the Earth’s surface, within the depths of the oceans, in the sky, and perhaps also in space or underground. We see a growing number of examples of such arcologies being posited by architects; examples include the Ocean Spiral, a mega-skyscraper arcology which would ascend from all the way from the seafloor all the way up to sea surface. Architects have also posited building immense terrestrial arcologies which would be located on the Earth’s surface. I won’t, however, go into much detail about them in this article since such a discussion would deviate away from the main topic that we are learning about in this article. But I mention these facts to make it clear that there will be an increasing number of arcologies and mega-skyscrapers built on the Earth’s surface in the future. The reason why this is is because such structures are very advantageous to have: for instance, Ocean Spirals would be a total game changer for researchers studying deep sea life, a subset of biology which, currently, we know next to nothing about; those ocean spirals would also be immensely useful for projects involving uranium extraction (for power) from the seafloor and there is a staggering amount of uranium down their; the Ocean Spiral would also be useful for extracting geothermal energy at very depths within the interior of the ocean and also from beneath the sea floor. There are also extraordinary benefits to be reaped from building such structures on the Earth’s surface. By building numerous arcologies, those arcologies could be used as vertical farms and would be capable of feeding immense populations, ones far larger than the present 7 billion people; and all of the plant life within those arcologies could help clean up our air. Indeed, researchers have developed a special kind of material which, in large quantities, could gradually sequester large amounts of CO2 gasses from the Earth’s atmosphere. It would be very advantageous to incorporate such materials into these arcologies. We have goods reasons to suspect that such arcologies will become increasingly ubiquitous in our future; this implies that the demand in flying vehicles and other forms of vertical transportation will also increase. I imagine, for instance, that drones will be in high demand to aid with the construction processes of these arcologies and also for maintenance purposes - with regard to the latter, they’d be extremely important both for helping to maintain the integrity of the building and also the biospheres and flora existing within those arcologies. Indeed, even in many of today’s farms, drones are becoming increasingly used for planting seeds and eliminating pests. For terrestrial and regular horizontal farms, drones aren’t really 100% necessary because robots which move around on the ground could get all the tasks done. But when it comes to monitoring and maintaining the health of each plant in a vertical farm that is a part of a very tall arcology, then drones become very important. Many arcologies will also accommodate tens of thousands of residents, if not more; thus, in such a scenario, it would be desirable to have numerous, autonomous transportation modules which are capable of both horizontal and vertical transportation. Indeed, one company has developed a system which could incorporate dozens of elevator cabs which are capable of both horizontal and vertical transportation. Such technology would be of immense use in an arcology which takes the form of a mega-skyscraper. Such modules/elevator cabs could use AI algorithms to determine optimal routes and also to avoid collisions with other modules. Indeed, a drone could perhaps transport such a model to a separate mega-skyscraper which would provide a viable approach for moving passengers or cargo from one skyscraper to another. Also, there is no reason why those modules couldn’t also be used to move people around at ground level. Thus, such modules would be very general purposed and could both be used to transport passengers at ground level on the streets and also to transport passengers to various different locations within an arcology. Up to this point, we have only discussed the potential use of driverless, flying drones as transportation units. But they would also have countless other applications in search and rescue missions, putting out large wildfires, and helping to reclaim the environment by planting at least one billion trees per year to negate some of the negative effects of resource overshoot. One company is manufacturing drones which will use Lidar to create a map of the topography of some given region (say one hectare of land or 10,000 square meters). Once the map is obtained, the drone will have a rough idea of the regions existing biosphere, and it’ll also know where all the “obstacles” (which is to say, things to avoid sending payload to) in the region are. Using AI and algorithms, the drone then arrives at a decision of where it should plant each tree. The drone then flies above each of those locations and shoots pellets containing seeds into the ground. If we scaled this method up, then we’d be able to plant one billion new trees each year. Currently, we cut down about 6 billion trees per year; but new trees anually regrow at a number much lower than 6 billion. Obviously, this practice is not sustainable and such resource overshoot is one of the negative effects of living in an economic system based off of infinite growth. Using enough of these drones, we could plant over 6 billion new trees per year which would gradually reclaim the forests which have been lost over all these years. Indeed, in a subsequent article, we’ll discuss the notion of a resource-based economy and how we could also reduce the number of trees that we cut down each year. Over just the next few decades, robots and autonomous drones will set the stage for a third agricultural revolution. In the future, we’ll dedicate an entire article to this third agricultural revolution which will not be confined to merely just terrestrial applications; in that future article, we’ll discuss the details of how the time will come when it becomes commonplace to do agriculture on the sea surface, within the interior of the oceans, and we’ll even discuss its subterranean applications as well as how agriculture will also eventually be done in space and on other worlds in the solar system. Indeed, robots and drones are only one (albeit, the most important one) of the catalysts shaping this revolution the other catalysts include vertical farming, lab grown meat, genetic engineering, hydroponics, aeroponics, and a few others. It would be far to exhaustive to list all of the farming robots in use today revolutionizing agriculture; thus, we’'ll list some of the main ones. This list includes autonomous, self-driving tractors which can cultivate wheat without any human intervention. One version of such tractors is the CASE IH Autonomous Concept Vehicle shown in the video above. Despite the fact that such a vehicle wouldn’t require any human oversight in practice some of the machines decisions and procedures would be guided by human supervision. As shown in the video above, a human using a tablet could monitor the robotic tractors progress and aid in some of its decision making. Fort example, using built-in LiDAR, radio, and cameras the tractor could automatically detect obstacles in its path; when the tractor detects an obstacle, the tractor stops; subsequently, a farmer gets notified on his tablet that the tractor stopped because there was an obstacle obstructing its path. Using cameras built into the tractor, the farmer could see the obstacle. If the farmer wanted to get a closer look, those cameras could zoom in on the obstacle. And if the farmer needed to get a really close-up view of things, he could order a drone equipped with a camera to fly to the location where that obstacle is. At any rate, after the farmer gets a look at the obstacle to whatever degree of magnification which is satisfactory, using his tablet he could command the tractor to either drive around the obstacle or drive straight through it. The tractors software will automatically generate a path for the tractor to take to avoid the obstacle; this means that the farmer would not need to manually operate the tractor to move it around the obstacle. This is merely just one example of farming robots, but there are many others. Take, for example, the E-Series, a robotic harvester developed by the company Agrobot. This robot is a strawberry picking harvester. In practice, the harvester would drive across each row alongside strawberry-growing planets; as the harvester is driving, it can use its robotic arms (and this machine can be augmented with up to 20 robotic arms) to remove the strawberries from the plants. Using LiDar, the tractor can autonomously drive across each row all by itself. Furthermore, by utilizing artificial intelligence and cutting-edge graphic processing units, the machine is able to determine the ripeness of each strawberry; based off of the ripeness of a strawberry, the machine can decide by itself whether or not it should pick the strawberry. Such harvesting robots are not merely limited to picking strawberries. Two companies called FFRobotics and Abundant Robotics have developed apple harvesting robots. The robot in development by FFRobotics has three-fingered grips which it uses to grab apples and twist or clip them from the branches to which they are attached. This robot would have between four to 12 robotic arms and would be capable of picking up to 10,000 apples per hour. Such a robot would be capable of picking 10 times as many apples than the average human could. The robot being developed byu Abundant Robotics uses suction to vacuum apples off of trees as shown in the video above. What I have discussed so far about future agriculture is a pretty small sample of the kind of robots which would be used. We’ll save a more in-depth discussion of the future of agriculture for a subsequent article since the goal of this article is really just to give you a general idea of the kind of robots which will be used in our future to shape our future. At this point, it should be pretty clear that robots will wipe out most jobs in the agricultural industry, the food industry, and the transportation industry. All of the other jobs in the service and hospitality industry which will get wiped out by automation include baristas, cashiers, janitors, people responsible for giving general information about products and where products are located, security guards, and probably a few other big ones that I might have missed. As you can see in the video above, we already have coffee making robots. Cashiers will eventually be eliminated by self-checkout kiosks. Janitors will also become increasingly unnecessary. Shown in the video above, are robots which can autonomously clean all of the floors of a building. Similar to other robots that we discussed previously, using Lidar these robots are also able to automatically detect obstacles (i.e. people) in their path and automatically stop and recalculate their path when they do encounter an obstacle. From the standpoint of computer science, getting a robotic hand to pick something up is a very complicated feat. The programmer must ensure that the robotic hand knows precisely how far away the object is and the robot must also have some understanding of what pressure it must apply to various different objects to pick them up. A company named Soft Robotics simplified this task by relying less on computer science and a little bit more on material science. By outfitting a robotic hand with a special kind of rubber, that robotic hand is able to pick up any object. Soft Robotics combined their special rubber gripper with a robotic hand, AI, and cameras to create a robot which they call SuperPick. The videos showing the capabilities of Superpick are rather remarkable. For example, I’ve seen videos of SuperPick autonomously picking up rubber ducks, pens, grapes, and even a cactus. The companies Agrobot and FFRobotics that we talked about earlier had long struggled with the problem of how to make their robots more general purpose. Their goal is to enable their robots to be able to pick up any fruit or vegetable, not just strawberries and apples. This technology developed by Soft Robotics likely hold the key to creating a more general-purpose agricultural robot which can pick any kind of fruit or vegetable from where it is grow. As one final note, I’d like to add that there are now fully automated farms. The company Iron Ox has created the first fully automated farm that grows leafy greens and herbs. Up to this point in our discussion of agricultural robots, we have only discussed narrow applications of such robots - such as, for example, picking strawberries or apples. But let’s now try to put it all together and think about how we might be able to make fully automated farms which can grow a wide variety of fruits and vegetables. The company Iron Ox has created the world’s first indoor, fully-automated farm. The farm grows only leafy greens and herbs on vertically stacked trays. A 1,000 ton robot which is about the size of a car (see image to the right) transports a tray of plants once those plants begin to mature; a second robot, which is essentially a robotic picker, is responsible for transporting the plants to separate trays based on their maturity. This is done in order to optimize plant growth. I’d like to summarize what we’ve discussed so far about how robots can automate various different tasks in warehouses and in retail; then, we’ll wrap thing up by talking about how by throwing Boston Dynamic’s humanoid robots into the mix you can get fully automated warehouses. A warehouse has a really huge inventory/stockpile of “stuff”; when a customer places an online order, that order goes into a database in a computer in a warehouse; subsequently, a Kiva robot transports a pod containing the person’s order to a picker. Now, most warehouses that I’ve seen actually use human pickers, but this need not be the case. Using a robot like SuperPick the customers order can be removed from the pod and then places on a conveyor; subsequently, either a human or another robot will package the order. At this point, you could then have an autonomous drone deliver the package to the customer’s home. There is one possible variation to that last step (of getting the package from the warehouse to the customer’s home), albeit it would be less efficient. You could also have a humanoid robot (like the humanoid robot, ATLAS, which was developed by the company Boston Dynamics) move the person’s shipment to inside of a driverless delivery vehicle. Despite the latter being a viable alternative, in a resource-based economy it would be preferable to use a drone to transport the package from the warehouse to the customer’s home. In certain situations, drones are a better choice than humanoid robots; however, in other situations, the humanoid robot would be better. The humanoid robot, ATLAS, specializes in navigating awkward, uneven terrain which would easily confuse most robots. For example, suppose that a large driverless truck has arrived at a warehouse with a huge shipment. For some robots, having to move up and down the truck’s ramp and then moving in and out of the warehouse (in order to move items from the truck to the warehouse) would be very difficult. But, again, ATLAS specializes in such tasks. After having this entire discussion about warehouses, robots, drones, driverless vehicles, and humanoid robots, the verdict should be pretty clear: all logistical processes and all tasks that pertain to shipping items from warehouses and then shipping items to a customer’s doorstep can be fully automated without the need for any human oversight. You could easily get away with letter the show be run by robots; but in practice, however, you’d still want to have a handful of human technicians overseeing the entire process just in case any of the robots malfunctioned. One also should keep in mind that most manufacturing processes are also becoming automated. Thus, not only could all tasks involved in getting items from a manufacturing facility to a warehouse to a customer’s home be automated, but most manufacturing facilities (though not all, yet) can also be automated. 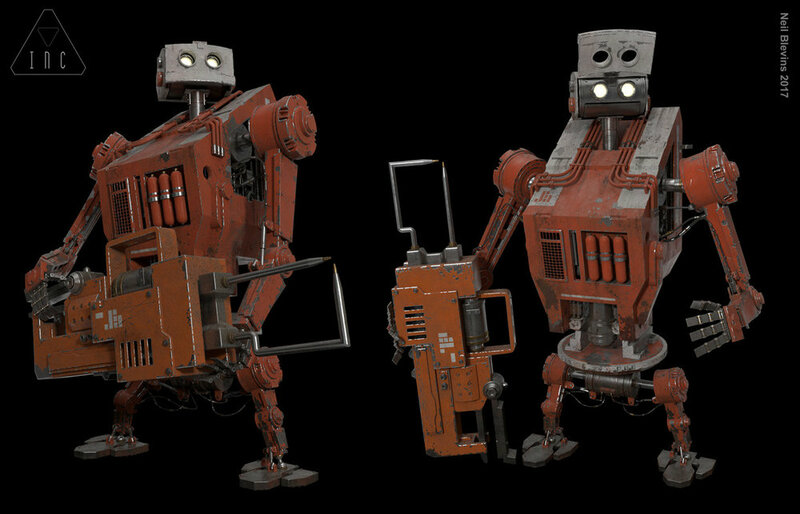 I’d like to also mention that both ATLAS and another robot called SPOT (which was also developed by Boston Dynamics) could be very handy around the house. Most people are not that comfortable having ATLAS in their home; but the much smaller Spot (which only weighs 60 lbs) is a robot that people are a little less intimidated by. Robots like Spot would be extremely useful for certain household chores. Spot knows how to walk up and down stairs and avoid the various different kinds of obstacles (i.e. a couch, a person, etc.) which would be present in a home. So Spot would have no problem say emptying the trash, emptying the dishes, or grabbing a drink from the fridge and bring it to you (see video above). We’ve spent quite a long time discussing how robots will largely shape the next agricultural revolution. In that previous section, we talked about how you could create a fully automated farm; in this section we’re going to discuss how one could create fully automated warehouses. The near future of retail will be dominated by online retailers. Amazon is a prime example of this. In the more distant future, we’ll likely use more sophisticated systems which take advantage of 3D-printing and nanotechnology, but we shall save that discussion for later on. In many respects, big online retailers like Amazon have completely changed the paradigm of how we should provide goods and services to customers. Before companies like E-Bay and Amazon, the prevailing paradigm of retail was based off of human labor with some degree of mechanization and off of the idea that the customer comes to the store to receive the goods or services which they purchased. But over the next few decades, we’ll see a massive paradigm shift from human labor and mechanization to full-blown automation and from customers getting what they want at the store to a robotic drones delivering the goods to their doorstep. (This is a slight tangent, but in future articles we’ll discuss two concepts known as ephemeralization and the proximity strategy which would be essential to any science-based and/or post scarcity economic system. Ephemeralization simply just means to get an equal or greater amount of industrial output using less input. The most common examples of this phenomenon can be found in agriculture and in the technological evolution of the computer. One specific example of ephemeralization is this: during the second World War, the world’s most powerful computer weighed over one ton, consumed multiple kilowatts of power, and took up an entire room. Today’s cell phone, despite requiring a far smaller input of power and use of materials, is vastly more powerful and can do way more than those ancient computers. This is a classical example of being able to do more with less. Another principle of economics and true technical efficiency is that the smaller the distance any material item travels, the less energy and, hence, resources are lost in the process; thus, if we want to “economize” (in the true sense of that term which means to minimize waste while simultaneously maximizing output) transportation to the highest degree possible (which would be the goal of any rational, science-based economic system), then goods should travel the smallest distance possible. for example, there is nothing at all “economic” (again in the true sense of that term) about shipping a box of bananas half way around the world (a common practice in today’s economic system as a means of curtailing labor costs) when you consider the enormous amounts of energy and materials (i.e. fuel) are wasted in such a process (not to mention the negative effects such inefficiency inflicts upon the environment); it would be far more efficient and make much more sense to produce those bananas nearby to people who want them in order to minimize the total distance required for transporting them. The importance of ephemeralization and the proximity strategy apply not only to those aforementioned examples but they apply to all industrial processes including wearhouse shipping and logistics. Clearly, one example of ephemeralization would be to create fully automated warehouses with fully automated delivery drones. Using far less manpower, energy, and time (which is to say, a smaller input), you can simultaneously be vastly more productive by completing a vastly greater number of orders and shipments each day (a larger output). Clearly, Amazon’s futuristic paradigm of how retail should be achieves a vastly greater degree of ephemeralization than all previous models of retail. But it doesn’t really address the proximity strategy. The problem would still remain of having to ship materials and goods across thousands of miles wasting enormous amounts of energy in the process. But there is a dramatic potential improvement which could possibly be made in the future. The next revolution in retail will be caused by 3D-printers. Both Michio Kaku and Ray Kurzweil imagine the day when everyone has a 3D printer in their home which can 3d print many items they want. For example, suppose that you needed a wrench. You could just go on your computer and perhaps using a CAD interface or a simplified more user-friendly version of that interface, you could select exactly what wrench you wanted and, indeed, you could also customize that wrench. Everyone else would also have access to this software; this would be open-source software in which other people could create their own customized wrenches and share them on an open-sourced database for everyone to use. Thus, with a few searches, scrolls, and clicks on your computer you could find a custom-made wrench designed by a total stranger on the other side of the world. Once you have selected exactly what kind of wrench your looking for, you could click a few buttons and the 3d-printer in your home will 3d-print the wrench right in front of you. Thus, there would be no need for a bunch of robots to go through the hassle of fetching a wrench from a vast inventory in some far away warehouse and then delivering that wrench all the way to you using a drone. Such technology will greatly reduce the number of shipments made from Amazon-style warehouses. Already, 3D-printers are capable of 3D-printing a large variety of goods including food, tolls, automobile parts, furniture, weapons, and even body parts. The day might come when we create what is known as a universal 3D-printer or a universal assembler which could manufacture any object right in front of your eyes. If a universal assembler (or even just an extremely general-use 3d-printer) were invented tomorrow, Amazon would quickly go out of business since such a device would entirely eliminate the need of manufacturing goods in some remote factory, then shipping those goods to a warehouse, and finally shipping them to a customer. Despite the fact that 3d printers have a pretty high and impressive degree of generality and are capable of 3d printing everything from common house hold accessories and appliances, to food, to body parts, and even to entire bridges, cars, and houses, we are still a pretty long way off from having universal assemblers like the ones from star trek. Well, maybe. Allow me to explain. A universal assembler could build any object you wanted using the fundamental building blocks of nature themselves—the atoms. If you had such a machine then, in principle, you could build, atom by atom, a medium-rare fillet and a lobster. There is nothing about this which violates the laws of physics; thus, in principle, universal assemblers should be possible. Indeed, according to the uncertainty principle from quantum mechanics, over mindbogglingly long time intervals (think a googolplex or a Graham’s number of years) some pretty strange things will start to happen; for example, if a Graham’s number of years went by, you would actually expect for some pretty weird stuff to happen like the atoms in a junkyard spontaneously reassembling into a high-tech spaceship or going to bed and then waking up on Mars because your atoms spontaneously reassembled on another planet. Indeed, as the theoretical physicist Michio Kaku described in his book, it is commonplace for PhD students to calculate the probability that you’ll go to bed and then wake up on Mars due to your atoms spontaneously reassembling there. According to quantum mechanics, the positions of every atom and particle comprising your body is governed by a mathematical wavefunction called Schrodinger’s equation. Solving for Schrodinger’s equation, you can find the probability amplitude (and, hence, the probability distribution function) describing the probability that you’ll find a given particle in any arbitrary location. But what is weird about quantum mechanics is that the probability distribution function never stops; it stretches off all the way to the other side of the universe. This fact implies that if you go to measure the location of a particle, there is some probability that you could find it anywhere - even on the other side of the galaxy. But the odds of such an event actually occurring is so ridiculously small that you’ll probably never witness it for the rest of the lifetime of the universe until say something like a Poincaré recurrence happens. However, the longer the time interval that you consider, the more and more likely that it becomes to happen. 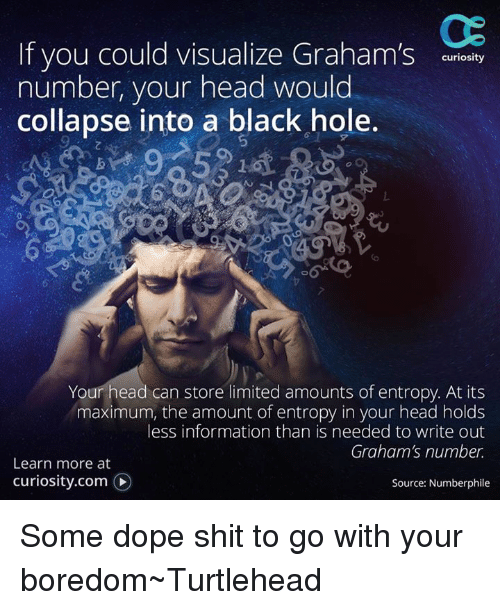 Now the odds of the atoms comprising your body spontaneously reassembling on Mars is what we’d call a stupidly small number; but there are also we call stupidly big numbers like Graham’s number. And after a Graham’s number of years, we’d actually expect this ridiculously improbable event to become a near certainty. Now all of that was a slight digression to say the least, but the reason why I brought it up is to make the fact clear that it is in principle possible for a bunch of random atoms to reconfigure into any object that you can think of. We know, for instance, that according to the laws of quantum mechanics it would be possible for such an event to occur purely out of chance. But is there a way to use some kind of machine to actually move individual atoms and place them together. The answer is yes, and indeed IBM is known for once doing this with such a machine to write out their initials. Indeed, such machines will likely be extremely useful in the future in a field called biotechnology; such a machine would aid researchers in that field in building things like molecular wheels and molecular motors which will be immensely useful for creating and improving things like nanobots. And those nanobots, once created, will have myriad important application; for example, Ray Kurzweil foresees the day that such nanobots will be deployed within the human body wherein they will continuously monitor our health and even improve upon perfectly healthy biological processes. But all of these application—as impressive as they are—are a far cry from being able to build something like a cat from a random arrangement of atoms. Now, such a task might very well be beyond the scope of the human intellect. In another article, we talk about super intelligent artificial general intelligence (SIAGI); for such a being (and, yes, this thing would essentially qualify as another form of sentient life) such a task should in principle actually be possible. At any rate, universal assembler are, for now, clarktech and we likely won’t see them for a very long time. But things like automated wearhouses and drone delivery and 3d-printers in everyone’s house capable of 3d-printing a large variety of items is something which is on the horizon and will likely become a reality sometime during this century. In the future, robots will play an essential role in helping humanity colonize other worlds in the solar system and beyond. In particular, they’ll complete all of the dull, dirty, and dangerous tasks which are necessary to build human settlements and infrastructure on other worlds. When we see Hollywood and science fiction stories of humans in space suits walking around on the Moon or Mars, it becomes all too easy to forget just how dangerous space is. What you see in those movies and sci fi stories likely does not represent what humans roles in colonizing other worlds would be in real life. We would not have humans just walking around on the surface of the Moon or Mars building structures for prolonged periods of time (and, preferably, not for any period of time) because solar flares from the Sun and Cosmic rays from space are perpetually blasting these worlds with radiation in sufficient quantities to increase the likelihood of an astronaut getting cancer 9if they’re just walking on the surface of such worlds protected by nothing but a spacesuit. A spacesuit wouldn’t protect such an astronaut at all from radiation; the radiation would pass right through the spacesuit and collide with the cells and DNA molecules party comprising the astronauts body. For safety precautions, the first manufacturing facilities, homesteads, and settlements would be built by robots and machines. Such robots should be the first to build human infrastructure on the Moon, Mars, and beyond; to send humans first to work on such construction projects (especially on the surface of such worlds) would be ludicrous and, in such a scenario, we’d essentially be risking human lives even though doing such could have had been entirely avoided. In 1980, after a few decades long drop in enthusiasm towards any hopeful or optimistic prospects of the field of AI causing a major revolution like the pioneers of AI in the 1950s had once forecasted, NASA spearheaded research in the potential applications of robots and AI in building the first human settlements on the Moon. The plan was to building the first self-replicating robot on the Moon using materials imported from the Earth. The plan was to have three different kinds of robots on the Moon. First, there would be mining robots responsible for mining materials such as Moon rock and regolith. Second, there would be manufacturing and construction robots to use those materials to build lunar settlements, factories, and other infrastructure. Third, there would be repair robots capable of repairing themselves and the other robots form damage caused by the radiation continuously blasting the Moon. The study came shortly after astronauts had collected and brought back hundreds of pounds of lunar regolith and rock. It was discovered that the metallic, silicon, and oxygen content of Moon rock is more or less identical to that of Earth rock. This implies that such rock could be melted in a lunar oven and, subsequently, important metals could be distilled and refined into pure ingots. After this, the second type of robots - which is to say, the construction and manufacturing robots - could use the processed metals and materials to create the first lunar factory capable of manufacturing self-replicating robots. After the first self-replicating robot is manufactured, that robot would create a copy of itself; then those two robots could create copies of themselves resulting in a total of four robots; and so on. This exponential increase in the number of self-replicating robots could continue until there is a vast fleet of such robots. Such a “army of robots” would build expansive human settlements, cities, and other infrastructure for humans to live in. According to the theoretical physicist Michio Kaku, those self-replicating robots could go on to build robot factories on other worlds in this solar system and even in exoplanets and exo-moons in other star systems beyond. An analogous process would occur on those worlds where the self-replicating robots would use in-situ resources on those worlds to duplicate and multiply until vast fleets of robots would be created on those worlds too. Assuming that such robots traveled in star ships at speeds in between 20% the speed of light and the speed of light, such robots could eventually colonize every star system in the Milky Way galaxy in about 100,000 to one million years. And every single one of those robots could build the human infrastructure necessary in every one of those systems which would allow humanity to colonize the Milky Way galaxy.